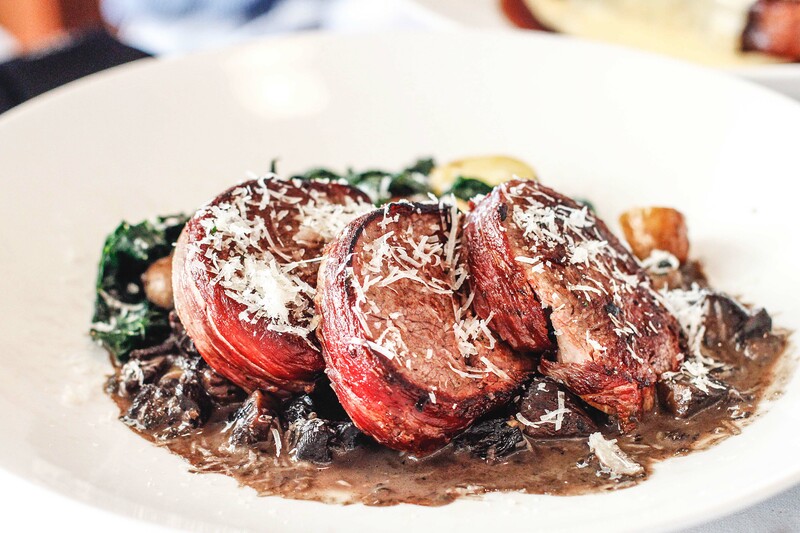 Vanessa: When a destination wedding saw a large portion of our extended Italian family descend upon the Hunter Valley, lunch at one of Mount View’s finest was most certainly in order. 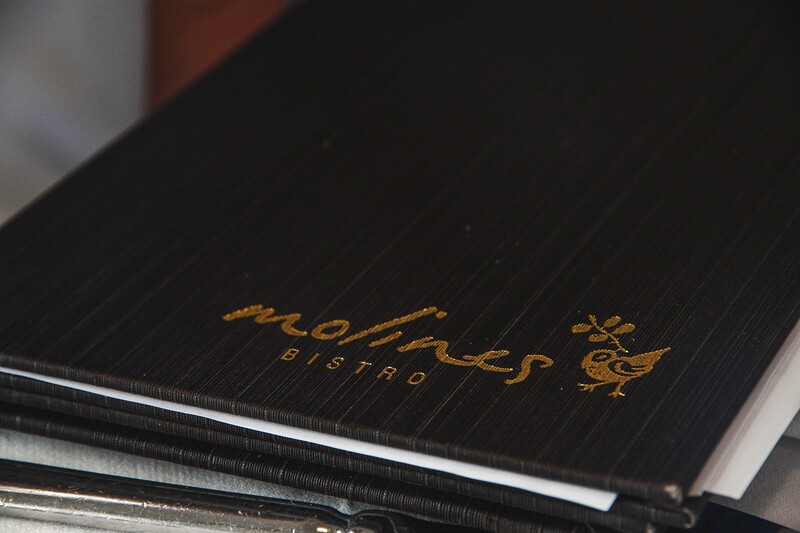 Seizing the opportunity to tick an item off the Team FFS bucket list, we arranged for lunch at Bistro Molines. With our siblings in tow we made a family day of it. A fitting way to kick off the weekend’s wedding festivities. 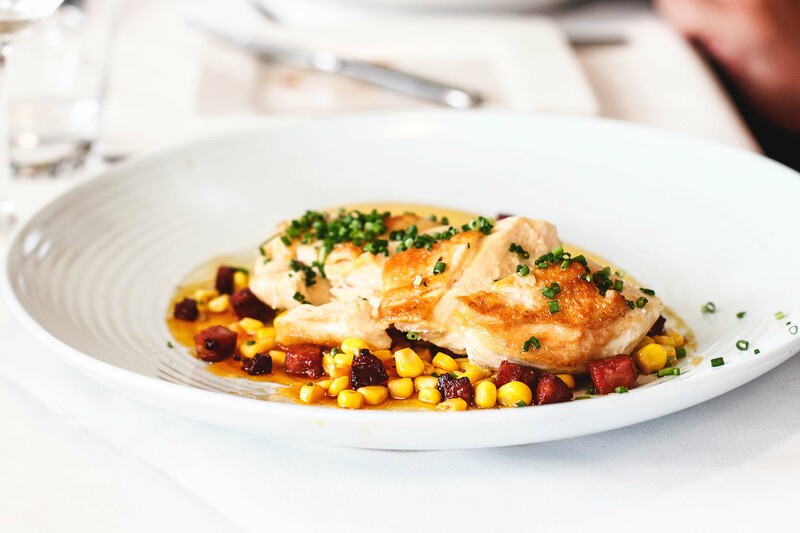 Bistro Molines is set amongst the idyllic rolling vineyards of Mount View in the Hunter Valley and offers a delightful dining experience with a picturesque outlook. With the adjacent Tallavera Grove cellar door being a stones throw away, it really does allow for one to literally wine and dine the afternoon away. We arrived on one of the most glorious autumn days known-to-man which further enhanced the beauty of the restaurant’s scenic surrounds. Having previously studied the menu before our arrival, the ordering process was wrapped up swiftly leaving us to settle in, rose in hand, whilst surveying the elegant french-style decor and furnishings throughout the restaurant. We were thrilled when a complimentary amuse bouche arrived at our table in the form of a refreshing skewer of cold watermelon, prosciutto, tomato and basil drizzled with EVOO and cracked pepper. Always a nice little addition to any dining experience, I feel, and it was particularly welcomed on such a hot day! I must admit I don’t order pasta often when I’m out as I’ve been spoilt by my grandparents home made versions but I do find it hard to go past a seafood spaghetti when I see one on the menu. This was a special for the day available as both a main and entrée size, so I opted for an entrée and was impressed by the portion. There was a substantial amount of seafood that had been well coated in oil and parsley, the simplicity of the dish allowed for the seafood flavours to stand out. You will note the presence of parmesan cheese, a cardinal error in the minds of many Italian chefs who deem that parmesan and seafood do not mix, I don’t mind it though so was not phased by this. For main Bianca and I both opted for the steak which was cooked to a perfect medium rare and generously smothered in a rich, creamy hollandaise sauce. Accompanied by a crisp, pillowy croquet which made for a nice side and a chunky piece of bone marrow, which I have to admit I am not a fan of so this was passed swiftly over to Mr M. I was pleased with my dish and was able to walk away unscathed by food envy..always a winning result! Alex chose the braised beef short rib which was smothered in a rich, red wine jus and accompanied by baby carrots, broccolini and a sweet potato puree. Unfortunately the dish was served slightly cold with a little too much fat on the cut for Alex’s taste, but the puree stood out strongly for its texture and flavour . Mr M, the adventurous one of the group, did not flinch at ordering the calf livers and polished them off with absolute joy. Reportedly the calves livers were well sautéed and nicely matched with petite vegetable, lentils and a red wine sauce..which I took his word for. We rounded off our lavish lunch with a serve of the sugar-coated donuts matched with seasonal fruit, sprinkled pistachio and vanilla bean ice-cream. The presence of stone fruit somehow justified the fried, sugary ball of dough that was consumed, none the less this was a beautifully presented dish that was equally matched on taste. We were well and truly full to the brim by the end of the meal, but that did not stop some of us from having a little wander over to Tallavera Grove for some wine tasting. Our experience at Bisto Molines was a good one and is worth a visit if you are looking for a lovely place to dine when next in the Hunter. My preference would also be to go for lunch to take advantage of that view. Prices are on the higher side which can make it an expensive meal, but then again you are paying for a hatted restaurant with a gorgeous outlook. I shall leave you with some more location shots..because this view is too beautiful not to share! 5 Days in Playa Del Carmen, Mexico.